St Chad's is the Parish Church for Woodseats in South Sheffield. We've been here since 1912. 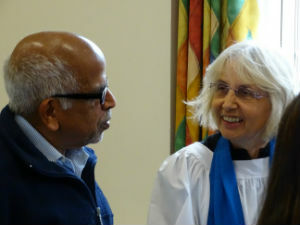 We're part of the Church of England and the Diocese of Sheffield. If you want to know more about what we're up to as a church, browse this website, hear about our Mission Action Plan, or look at the latest Impact, our church magazine. 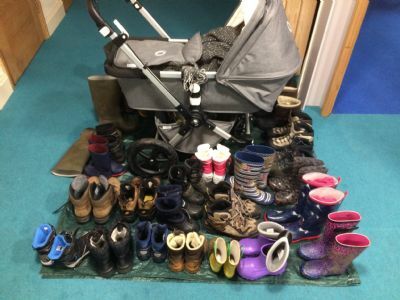 At St Chad's you will find a church full of people of all ages, all backgrounds and all shoe-sizes. We love the fact that God has made us all different and we try to celebrate our differences when we worship and serve together. None of us would want to be part of a church where everyone is the same. We are united through our baptism and through our worship of Jesus. Please come and add to our diversity! We think the message of Jesus is great news for everyone from the youngest to the oldest, and we'd be delighted to meet you. You're sure of a warm welcome. All of our services aim to be accessible to people who aren't regulars in church, and will include singing, prayers, and a talk explaining and helping us understand a bit of the Bible. You're welcome to come along and watch or to join in with as much as you feel comfortable. Please don't hesitate to contact us if you've any questions. We'd love to hear from you.